The Portuguese player Luís Figo is the soccer legend who reached the peak of his popularity at the turn of the century and continued to collect club and international trophies in the 2000s. Fans of Barcelona never forgave Figo for having transferred to the club’s principal rival, Real Madrid. However, it is indisputable that the famous halfback was making La Liga matches truly spectacular for almost ten years. The player can boast the recording number of effective assistance: 106 times. Only Lionel Messi has recently managed to reach the same result. Figo also played for the Portugal national team recording 127 games; today, Cristiano Ronaldo holds the record. In May 2009, the legendary sportsman Luís Figo played his last match. 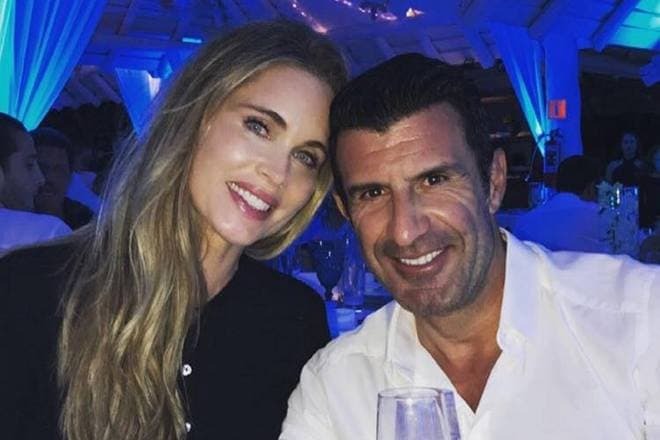 The only son of Lisbon port worker António Figo, Luís was born on November 4, 1972. The boy’s mother Maria Joana Madeira kept the house and looked after the child, so that the family could count on the father’s small salary only. Luís and his parents lived in the Lisbon outskirts. Soccer became the boy’s main entertainment. 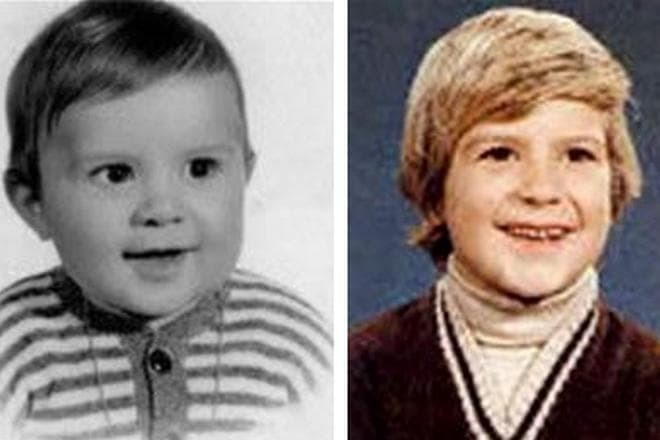 Although Figo was not good at his studies, the father did not prohibit Luís to play all day long and even helped him join his first team: peers accepted him in the yard team Pastilhas. Once, scouts of Sporting watched the young sportsman play; soon, the eleven-year-old boy joined the metropolitan youth academy. The talented mentee corrected his physics through regular exercise and a special diet. Figo played for Sporting youth team until 17; in 1989, he became the member of the adult team. 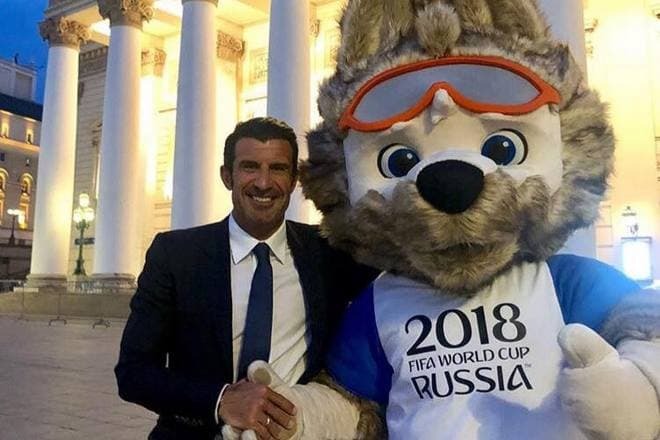 It is peculiar that Figo’s first significant results pertain to the international career, not Sporting: in summer 1989, before he played for the club officially, the sportsman participated in the UEFA European Under-17 Championship. The Portuguese triumphed in that tournament; Luís Figo and his club peers were called “the golden generation.” Two years later, the young players proved to be the best in the UEFA European Under-21 Championship. Although the international success was impressive, the player took part only in three matches in each of the two first seasons in Sporting. Figo debuted in April 1990 in the national tournament when he stepped in for the Brazilian Marlon Brandão in the game against Marítimo. In 1991, after the European Under-21 Championship performance, Figo joined the first eleven. 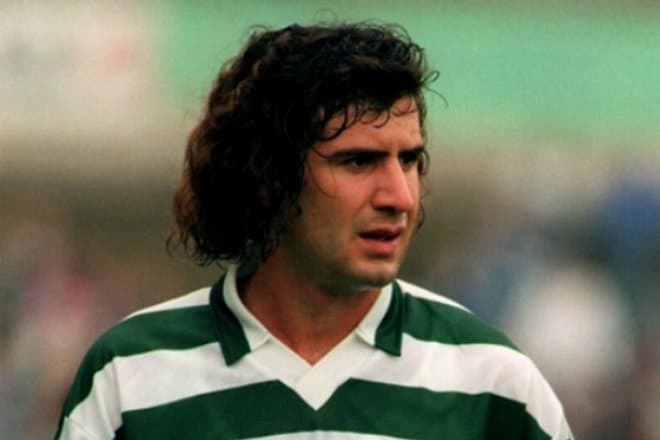 In his third season for Sporting, he played 43 games and scored his first goal in December 1991 against Torreense. Later on, the number of matches remained the same, and the results were improving. 1995 brought particularly remarkable results. 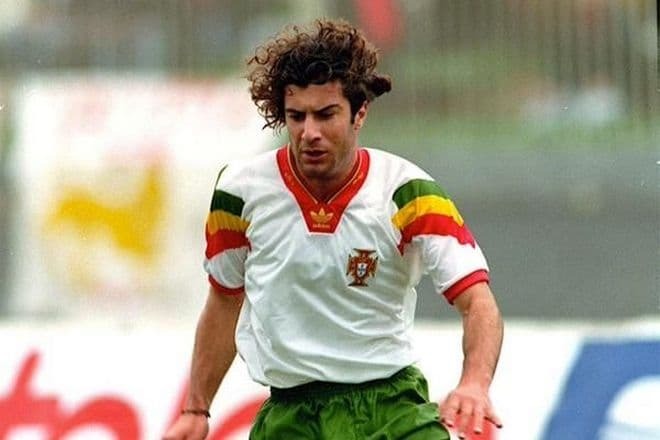 Figo scored ten goals, and Sporting that used to place third or fourth in the national league, reached the final, even though it lost to Porto. Soon, the Lions gained the Portuguese League Cup (Taça da Liga); in the final game for the Super Cup (Supertaça Cândido de Oliveira), Sporting defeated their recent rival. 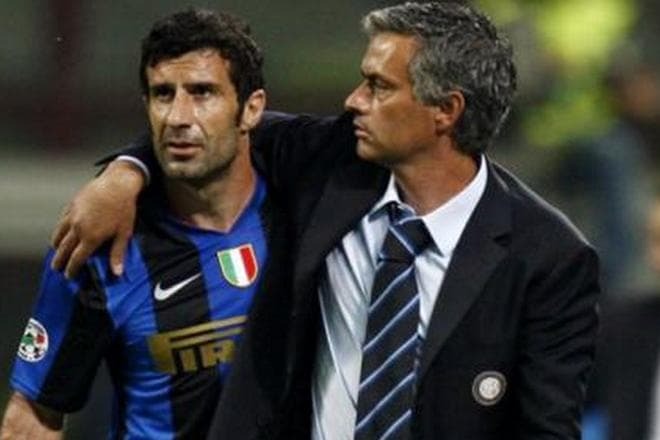 On the wave of success, Figo decided to transfer to an Italian club. The halfback signed the contracts with Juventus and Parma which provoked a scandal. In the end, Italian clubs were prohibited from buying the player for the next two years. Thus, Figo joined Barcelona; his career started taking off. The player acted in flanks and performed piercing passes to forwards; together with Rivaldo and Patrick Kluivert, he was the integral component of the awe-inspiring attack line. Dribbling was another valuable ability: Figo could win one-to-one confrontations without breaking the rules and give the ball to a forward. Luís Figo became the first legionnaire captain in the Catalonian team. 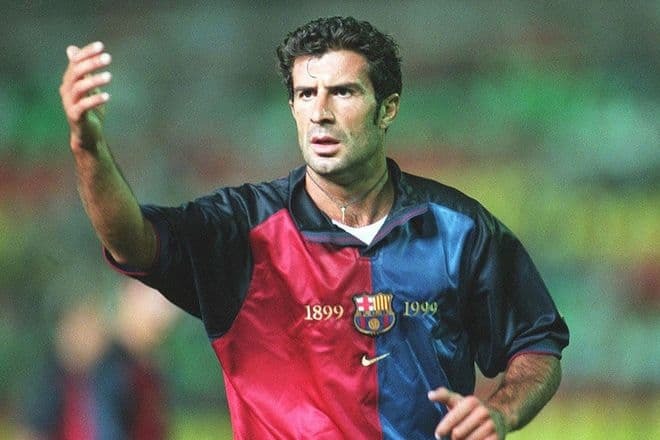 Thanks to Figo, Barcelona won La Liga twice (in 1998 and 1999) right to its centennial anniversary and also gained Copa del Rey. However, they failed in the Champions League; the victory of their bitter rival Real Madrid was painful for the club. In 2000, when the favorite of fans Figo who had just won the bronze medal of the European championship announced he was transferring to Madrid, people were so shocked they called the sportsman the traitor. The rumors that the player’s salary increased two times as much up to $56 million only fueled the fire. Those who had recently adored the halfback were emotional and demonstrated their feelings in the first away game of Real Madrid at Camp Nou. The sportsman was booed and whistled; besides, people threw various objects at him including a pig’s head. The bullying continued for more than a year. Even in 2004, when the Portuguese were playing the final game against the Greek in the domestic Euro, the infamous streaker Jimmy Jump threw the flag of Barcelona at Figo’s face. Whether this made some impact or not, the Portuguese lost in that match. 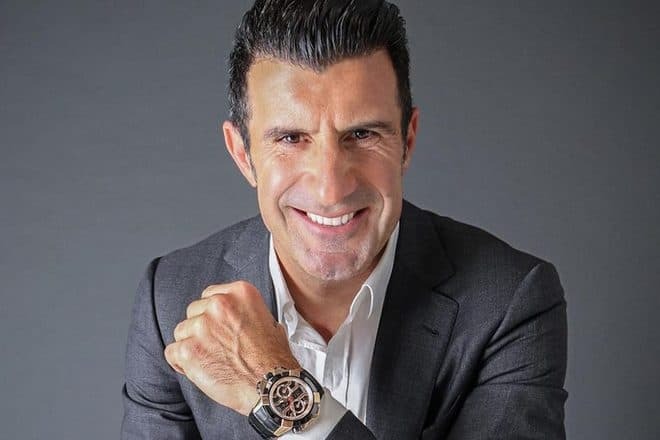 Thanks to Figo, Real Madrid won La Liga twice and brought the victories in the Champions League, the UEFA Super Cup, and the Intercontinental Cup. In 2013, the famous sports magazine Marca included Figo in the top 11 legionnaires of Real Madrid. In 2005, the 32-year-old halfback’s cherished dream came true: he signed the agreement with Inter Milan and debuted in the Series A. After Figo joined the club, Inter won the national tournament four times in a row. On May 16, 2009, the day Figo won the last victory, he announced he finished his career. Figo appeared on the field on May 31 during the game against Atlanta. When it was announced another player was going to step in for Luís Figo, the whole team lined at the edge of the field, and the stadium said goodbye to the legendary player and clapped hands. As Figo finished his career, he worked in the administration of Inter for a while. In January 2015, he ran for FIFA presidency, but quitted in May, even though the coach José Mourinho and David Beckham supported him. The former Sweden model Helen Svedin is Luís Figo’s wife. Luís and Helen met in 1996; three years later, their daughter Daniela was born. The couple married in 2001. The next year, the daughter Martina was born. In 2004, Helen gave birth to the third child, the girl Stella. Today, the family lives in Milan and also owns a vacation house in Sweden. Figo’s height is 180 cm., and his weight is 75 kg. The sportsman collects stamps. In 2002, he was awarded the International Grand Prize of Philately: the glass sculpture made by a Swedish artist. In Monaco, the stamp picturing this prize was created. In his 2017 interview, the halfback said he supported Real in El Clásico. He referred favorably to Zinedine Zidane who used to be the Madrid club coach at that time. In October 2017, the sportsman became the soccer advisor in UEFA; his function was to cooperate with the President in soccer technical aspects and rules. 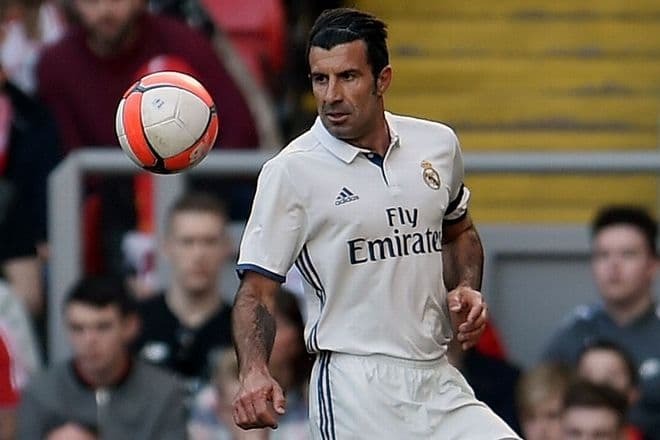 Besides, Figo is one of the key figures among UEFA ambassadors. The sportsman takes part in FIFA charity events. For instance, in April 2018 in Geneva, he was the member of the 2000s all-star team and participated in the charity match together with Didier Deschamps and Nuno Gomes. Carlo Ancelotti, Ronaldinho, and Cafu were their opponents. The legendary player has his own Instagram page where he publishes recent photos and pictures from his past games for Inter and Spanish clubs. Besides, there are posts where the watch named after him and household equipment are advertised.